What do brown rice, salt, and white sage have in common? Aside from being borne of the Earth, they are also cleansing agents for crystals! There are so many ways to cleanse healing stones. Or, as I sometimes call them, allies from Mother Gaia! What I’m referring to is not the physical debris that can gather on them, although that is important, too. 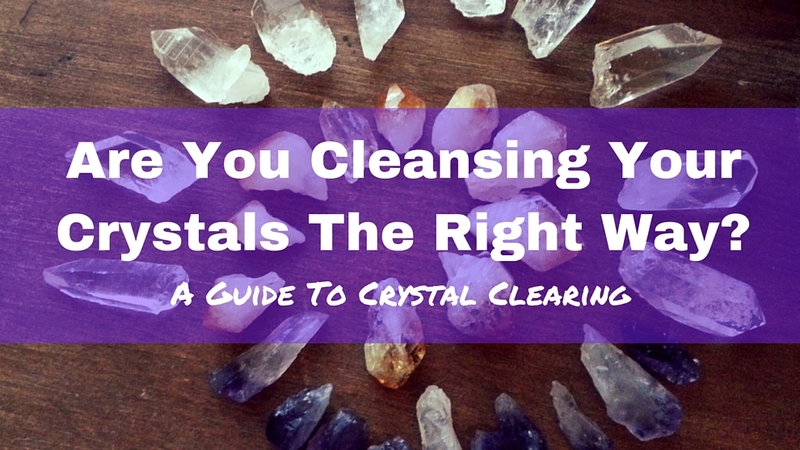 But, before you use your crystals, it’s important to energetically clear them, first. When it comes to owning your Goddess energy to heal yourself, our crystal allies are there to help us get in touch with our Divine Feminine (which we ALL have). So, before you put that tumbled Rose Quartz in your bra, don your Black Tourmaline pendant, or place that Amethyst cluster by your bedside, make sure you pave the way to using them Divinely! Once you find the stone that’s right for you, it is time to cleanse, clear, and charge them! When you first receive your crystal, it holds the energy of wherever it came from. My point here is that you won’t know where it was sourced from, unless you mined the lovely thing yourself! And, if the previous owner of the crystal has any negative or dense vibrations, you best believe that they will be stored in there, and passed onto you. For those of us who are “energy sponges”, this is particularly important. Don’t want the nasty juju? Clear your stones! If you’ve already cleansed them when you acquired them, and have actively used them for a long time, it’s a good idea to regularly give them a good cleaning. This is important if you do a lot of healing or energy work, or if you are you’re using them all of the time, such as when you’re receiving support around a difficult time in your life. If it’s jewelry you wear regularly, make sure to clean them once a week. If it’s a specimen piece that works within your living or work space, a few times out of the year works well. If you’re using them for deep soul work, cleanse them often. Trust your intuition as to when it’s needed. Sometimes you can tell by the way the crystal’s appearance has changed, how it feels in your hand, or how it energetically feels. I did a quickie mention of ways to clear your crystals in my previous post that talked about my top 3 crystals to bring in love; but, this cleansing ritual is an important one that deserves more detailed explanation. Smudging. Smudging entails taking a sacred herb, such as sacred white sage (my fave), sweetgrass, cedar, incense, etc., taking a flame to the tip of it, letting it smoke, and then holding the crystal in the smoke for a few seconds. This is by far my number one favorite way to clear crystals – it’s quick, easy, it works on every crystal, you never have to worry if the crystal is too soft to be soaked in salt water (if the crystal is low on the Mohs scale, it will damage and mar the surface, although it will not affect the performance of the crystal), and you can get a quickie self-cleansing while you’re at it! I also have lots of sage around me at home or at the office, so it’s very convenient. Smudging in this way clears all energy that has come in contact with the crystals previously, and has been practiced for centuries by many indigenous cultures, for good reason! Intention. There are a couple of ways you can use your intention to clear your crystal. You can hold it in the palm of your hand, and set an intention that the crystal be cleared of all energy, and blow that intention into the crystal. Another way is to beam white light from your Third Eye Chakra and surround the crystal with it. When you do so, you can imagine sweeping any negativity to a black hole that is filled with white light (the white light transforms the negativity to a positive light force, and the negativity is released from existence). And, lastly, you can visualize the crystal being surrounding with white or golden light, and intend any negativity be transformed from negative to positive light energy. For all of these methods, it’s important to be focused and maintain your concentration. Reiki. If you’re a Reiki practitioner, you can clear your crystals by infusing them with pure and channeled Universal light energy. If you’re Level I or II, you can hold the crystals in your hand and clear and program them. If you’re Level III or above, you can simply beam it to them. This is what I do in my treatment room with my stones between patients, especially my chakra stones, since they are popular during treatments. Multitasking at its finest! Selenite slab. Another favorite way I cleanse my crystals is by placing them on a slab of Selenite (others may call it Satin Selenite). Or, in my case, a cluster of Selenite wands. Selenite is so wonderful because it aligns your chakras, helps with physical pain, especially the spine, NEVER needs cleaning (although they don’t mind smudging or moonbeams once and a while), and clears other stones! Sometimes I take my smaller stones and place them on my Selenite wands cluster and leave them overnight (although you can already clear them in 10 minutes using this method! ), so they’ll be charged by the morning. Clear crystal or amethyst cluster. Clear Crystal Quartz clusters and Amethyst clusters are also effective for clearing the energies of healing stones. Simply place your stones on them overnight to clear them. Moonlight. Many stones love the celestial moonbeams! To get the most La Luna action, lay them out during the Full Moon. You may even wish to place them the day before the Full Moon, and after. Because the moon represents the Yin energy, you’ll be nourishing your crystals with Yin energy flow during a moon bath. A strong Full Moon will last for 3 days. Your crystals will still get the love even if it’s cloudy or rainy, although make sure that those crystals low on the Mohs scale are brought back in if you get some rain! Brown rice. Not only is a 24-hour rice soak good for saving your mobile device after it gets accidentally dropped in the commode; but apparently, your crystals love it, too! This gluten-free method of crystal cleansing balances and centers the energy, removes the negativity from it, while transforming the negative to positive. The double benefit from this is that after the soak, your rice is purified and energized and makes a great addition to your meal! Flower petal bath. Soak your crystals for 24 hours in a bath or rose petals, orange blossoms, or honeysuckle (use your intuition for the blossoms best for your bath), if you want to help your stones strip away negativity, cleanse them, and transmit the purity and energy of the flowers to the stone. Keep in mind that whatever flowers you use will transmit those properties to the stones. One example is using the love vibration of rose petals (which resonate with the Heart Chakra) to transfer love energy to your crystals. Sound cleansing. Sound is healing, not only for our bodies (hence my tuning forks that I use in the office! ), but also for our crystal allies. You can use: Crystal or Tibetan bowls, Tibetan/tingsha bells, drums, other percussion, sacred singing and incantations, healing music (including harmonious/ceremonial/classical music or the solfeggio frequencies), or you can run activated tuning forks over them. Make sure your crystals are in the sound pathway, and you’re good to go! Bury them in the earth. Mother Earth recharges the stones with her vibrational energy. Make sure you have a marker in the ground so you know where to find them after cleansing for 24 hours! You can also place them in earth in a container to more easily find them. Caution for this method: make sure your crystals have a Mohs hardness rating of at least 6 or higher, so that any absorbed rain or moisture in the earth doesn’t damage your crystals. Keep in mind that the soil may also get trapped in any nooks and crannies. Running water. Holding them under cool, flowing water, such as a spring, river, lake, or your kitchen faucet is an effective way of cleansing them. Water is a universal cleanser of denser energies from physical forms, from crystals to your own body! You can enhance this method by visualizing that the water is clearing out any negative energy, and going down the drain or being flushed away down the river. You can also follow by energizing them in the sun. Caution for this method: some crystals should not be submerged under water, otherwise they will be damaged, or will dissolve. If they are 5 or less on the Mohs scale, do not submerge them under water. Follow your intuition. Some crystals that should not be submerged in water are: Selenite, Malachite, Lapis Lazuli, Fluorite, Calcite, Desert Rose, Labradorite, or Halite. Salt water soak. Just like you, crystals resonate highly to salt water soaks! You can use regular table salt for crystal soaks, about 3 tablespoons of salt to a cup of water. I like to cover my crystals in salt water until the highest crystal is covered. Place on your windowsill overnight (you can soak from one to seven days), or an area that will get sunlight. I also prefer to use a glass container for this, to allow for the sunbeams (or moonbeams!) to penetrate. Caution for this method: make sure the crystals that are receiving this salt bath are no less than a 7 on the Mohs scale, otherwise you will damage your crystal! Also note that stones that contain iron, such as Hematite, Magnetite, and Lodestone may oxidize when submerged in water. Sunlight. Sunlight is a great way to bathe your crystals, especially those that are red, yellow, or orange. Carnelian and Sunstone love to sunbathe! Let them catch some rays for a few hours, to help them recharge. Caution for this method: sunlight makes some crystals fade or change in color. The following crystals should not be placed under sunlight: Amethyst, Celestite, Citrine, Fluorite, Kunzite, Rose Quartz, Smoky Quartz, Topaz, and Turquoise, to name a few. Opal will dry out in sunlight. After using the above primer for cleansing your crystals, you will want to charge them. If you want to learn how to charge and use your crystals after cleansing them, check out my post, “Crystal Work: How To Use Your Crystals“. And to learn how to meditate with them, you can find out more by reading, “How To Meditate With Crystals“. Bonus crystal tip: Ever have a crystal break on you? Whether that means it’s a Rose Quartz bracelet that suddenly broke, an Amethyst pyramid that fell and split in two, or a Labradorite pendant that you find a crack in, it’s an indication that it has completed its work with you, and its job is done. Thank it for its service and love, and return it to the earth by burying it. After checking out the above article, please make sure to read through the following comment thread thoroughly, since there are many of you who may share similar inquiries that have already been answered. Thanks, and happy healing! Is there a technique I’ve missed? Please let me know in the comments, below! You’re welcome, Omehra/Perla! I hope you found the post helpful. I cleansed my amethysts pendent with water and hymalyan pink salt in my hand i felt to do it.. i have a question what does it mean if my amethyst pendant circles around my ametyst crystal when i hold it directly above it and it gets wider and wider .. can anyone Answer this for me? Sounds like your amethyst pendant is simply getting activated by your amethyst crystal! They are resonating together. Yes!! As much as I’ll miss my beloved Celestite, it broke and now I know why!! I still have difficulty hearing. Is it ok to still use it or should I buy a new one? Thank you and NAMASTE!!! Great article and great website. You have provided a wealth of information and it is much appreciated by those of us just starting out. I’m glad you found it helpful on your journey! Thanks for visiting. I had purposely broken a few stones so they would be the right size for jewelry. I have not cleansed them since. Is this ok to still use hem? Yes, you can still use your crystals even if they’re broken. They are still there to do the work with you! Thank you! That answers my previous question about my broken Celestite!? So in the article u said to bury them when broken …can they still work being broken?? Unfortunately, as tasty as that sounds, using sugar is not a viable method for crystal clearing. If it’s just the Crystal and no metal used to make it into a necklace, etc., I soak my crystals over night in water with lots of sea salt and Russian Sage. OR you can smudge them which is what I do with my crystal jewelry! Thanks so much for the information! Was wondering if you could tell me if i should be charging my black tourmaline as well as cleansing? I smudge it with white sage for the cleansing. I use it for grounding and protection. Yes, you should charge your black tourmaline after cleansing. As my article above mentions, to learn more about charging your crystals, check out my post, “Crystal Work: How To Use Your Crystals“. Hello I’ve been reading on how to charge my stones and crystals and it said that hematite placed around them or in a bowl obsorbs negative energy and charges them? For lapis lazuli I’ve read hematite charged it. Any tips or advice on this? I have a pound of raw hematite being delivered tomorrow and wanted to research more. Thanks for taking the time to read! Nameste! Hi! Thank you so much for this information. I had a question, does it still work to cleanse the stones under Moonlight for only a few hours? Thanks for your question! It’s most effective to cleanse the stones under Moonlight overnight. However, I’m sure our crystal allies would welcome any amount of Moonlight! Is it alright to clean my smokey quartz by burying it in dry sea salt? It’s a necklace and I wouldn’t want the salt water to corrode the metal wrapping around the crystal. How long should I let it sit in the salt and how often do you recommend cleaning smokey quartz? Thanks for asking! If it’s a necklace, I’d smudge it with white sage. It’s easy, quick, and, unlike the dry seal salt, won’t get particles possibly stuck in the jewelry. Those tips are really helpful! I’m starting to use stones and crystals for the past few weeks and its already helping me and such! I used the sunlight for most stones except for the amethyst, fluorite, and rose quartz. I carry my stones everywhere I go, (I keep them in a box and a pouch that I use) how often should I cleanse the peacock ore stone? I’m so glad that you found my article helpful! If you use the peacock ore frequently, I would recommend once a week, more often if you intuitively feel the need for it, or if it’s done a lot of work. Hi I have a silver one piece amethyst ring from many years and over the time the gem in it became loose, it never fall but kind of rattling it. What does that mean, do I need to stop wearing it, donate that or burry that? Please help thank you! Sounds like your ring may just need a more snug adjustment! I hope you are feeling more connected with your piece after cleansing it by burying it in the earth for 24 hours! The pulsing you feel from the crystals are due to your connection with them, hopefully it’s been renewed. You may want to charge them after cleansing to reprogram them for what you need, as I feel that may be all you need post-fall. I don’t really know if I can get this out in a coherent fashion,but I’ll try. To start, I haven’t really been too into crystals until fairly recently. A friend gave me a crystal a few years ago, and maybe 6 months ago I walked into a crystal shop because my husband wanted to go. I almost immediately found a beautiful orange citrine, purchased it and went home. I knew nothing about this stone, other than I liked it. Looking up online and see that it can be useful for creatives. Awesome, I’m an artist and have been trying to get my freelance career off the ground. So I’m psyched. I use it almost daily, by meditating with it before I sit down to work and also just keeping it near. It’s almost addictive, the way it clears my mind and focuses me. Well two weeks ago, the friend who gave me the crystal, saw it and said I should cleanse it. ‘Okay, yeah, I’ll get around to it’. It dawned on me that I should prob cleanse the citrine, since I actively use it so much (PS; I know now that I didn’t need to), but didn’t. and still didn’t. Last night I told my husband that I was going to, and asked for his advice. The stone just felt.. gross, but also maybe(?) empty. I look up for info online today, about specifically cleansing that one. Yours is the second website I came to and I see that tip about the broken stones. About 7 hours ago, My Toddler found my orange citrine and dropped it. It broke in two. 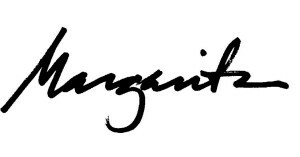 Ps;) Defiently subscribing to your blog! haha. It’s best not to overthink these things, and go straight to your intuition. If you feel you’d like to go pick out a new stone, then that’s what you should do! You could use the citrine pieces, if you like. But, it looks like you are being called elsewhere. As mentioned in my article, there is no need to clear citrine, and clearing citrine in the sun causes it to fade. The power is not affected. I have read that labradorite should not be put in water over a long period of time. Yes, that’s true, labradorite is one of those crystals that will dissolve in water if left in it for a long period of time. Thanks for reading! I had a question about the Lapis Lazuli stone. I’ve tried researching what’s the best cleansing method to do but i’m so confused, they say it can’t come in contact with water nor salt and that the brown rice really doesn’t work? So i’m wondering what’s really the right way to cleanse and charge my Lapis Lazuli stone? I hope you can help me out in answer my questions. Thank you! And does it matter if it’s a vintage Lapis Lazuli stone? Just because it’s vintage does it mean I have to do a deeper cleanse..? I have 3 Quartz Stone that is Clear,Amethyst and Rose. I am confused which is the best way to charge them? Moon light or Saltwater? I was recently given smokey quartz and peacock ore stone as gifts! I understand I can cleanse the quartz through a salt soak, but I’m not sure how to recharge it if it can’t go in the sunlight? Also I’m not sure how to cleanse and recharge my peacock ore, what methods would you recommend? Thanks! First I want to thank you for the helpful information, it was one of the first articles I clicked on and I just loved it! I have been curious about crystals and stones for awhile and just recently purchased a few for myself and 2 of my younger children. My 13 year old son has ODD and the lady I talked to recommended the blue tiger’s eye. My 12 year old daughter has been through some rough stuff and amethyst is her birthstone so she chose that one as the lady recommended it’s protective energies. I have been going thru some issues myself and was drawn to the lapis. She mentioned cleansing and recharging but she wasn’t specific on methods. Recommendations for beginners? Thanks!! My aunt has several apatite palm stones and she is very interested in the different healing properties of other stones. I never knew that these stones needed to be cleansed. She would be very appreciative to know that the sun can be cleansing. I am new to crystals, I was drawn to a lapis lazuli pendulum, just had to purchase it, had no idea what or why. So researched apparently not very well because I submerged in salt water to cleanse, the lapis has changed to lighter shades of blue, can I still use? Can all three be put in Salt water overnight for cleansing and which one to not put in sunlight ? I just want to let you know Ive been searching for this answer maybe a month maybe a year but its a blessing I found it today because I needed it the most 💜 Thought I’d let you know. Thank you for your effort in sharing this with us. Hi. What is the best and easiest method to cleanse and charge hematite? I’m now starting my collection of crystals and so far all have been ok to be cleansed with water and charges in the sun or moonlight. I understand that hematite should not be placed under water. I do not have a lot of resources though. What would you suggest? What could happen if I don’t cleanse properly but charge? Can I absorb the previous owners negative energy?